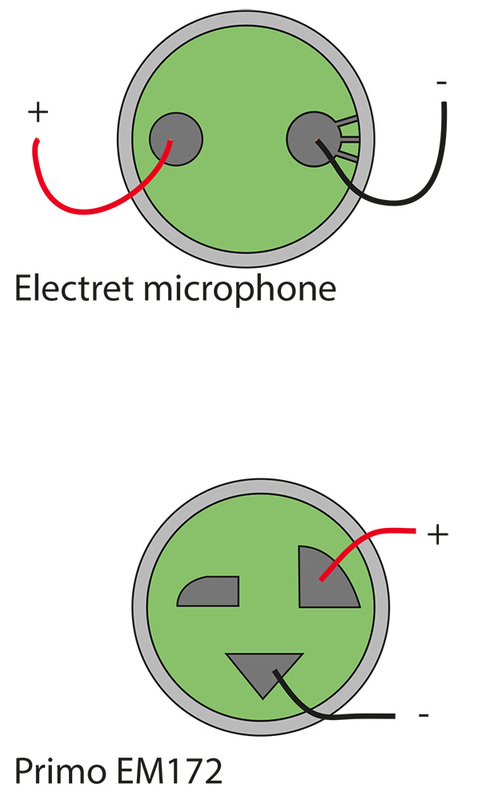 How to use a electret microphone with a balanced phantom powered input. We use the Primo EM172, a 12€ high quality electret microphone. 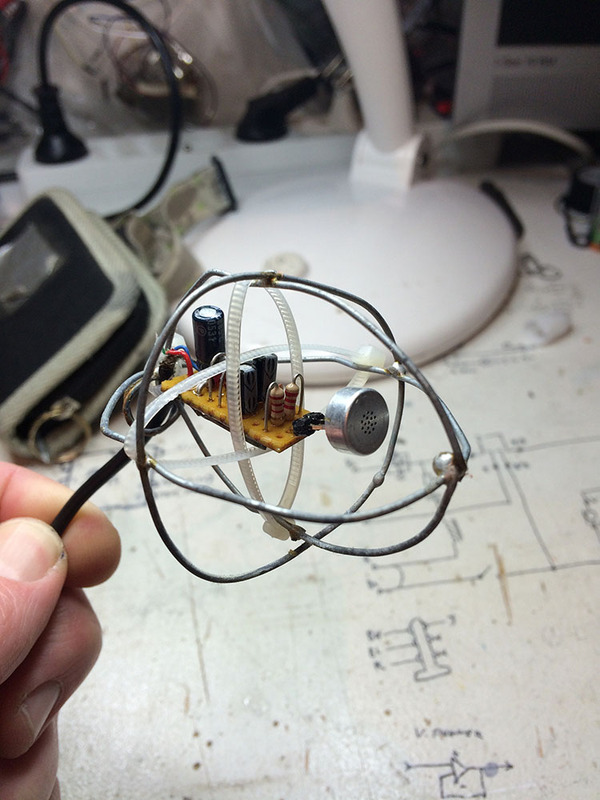 The circuit presented here can be use to build a monophonic streambox, or with two of them a binaural head. 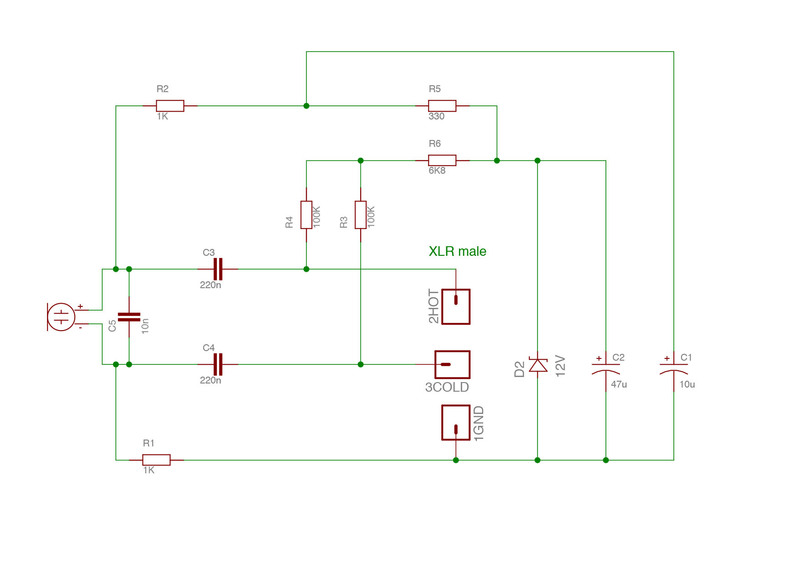 The presented circuit power the electret microphone with a bias voltage determined by the value of a zener diode. Usualy 5 volts is enought, but I find out 12v works better with the Primo EM172. It use the +48v from the phantom power, and output a balanced signal. This way, an extended length of cable can be used with very little background noise. The power rating of the resistances do not matter. 1/8w will do as well. Tolerance of 1% will improve the quality, but it is not critical. All capaciors must be rated with a voltage above the zener voltage used. For exemple, 18 volts rated capacitors are fine for a 12v zener diode. Here is where the parts goes. The circuit can be assembled on test board. Butif you want to print it, you can find the eagle files here. The usual electret microphone is pretty straight forward to use, but the Primo EM172 has an extra pad. Here is how to use them booth. Here are a few complete circuits. 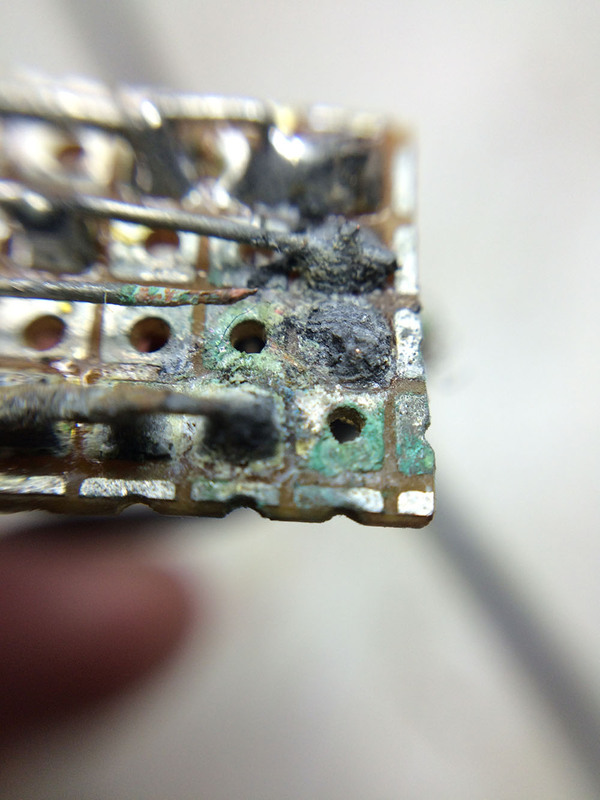 That is what happend with uncoated circuit outside. Some sort of wind protection is recommended. 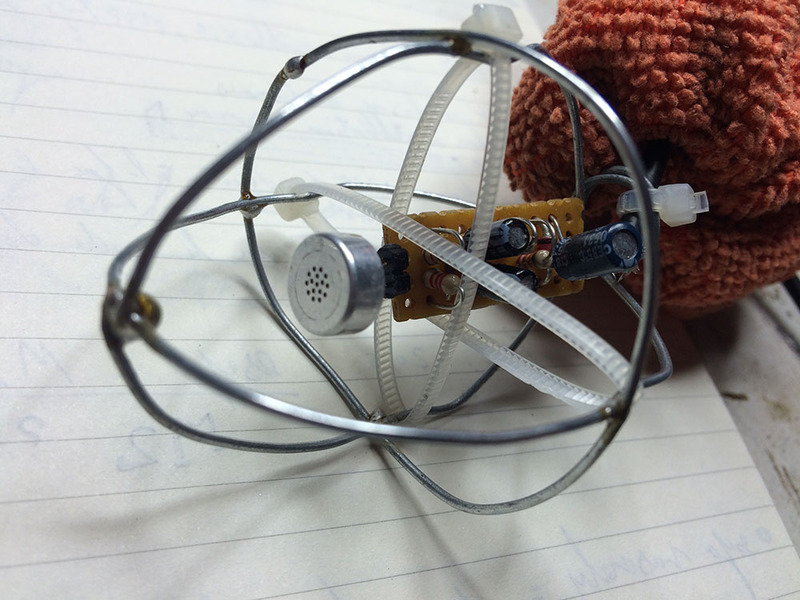 You can listen to this very circuit here.